Jean is suitable for max 42 W/ E27 fitting. It is standardly furnished with a footswitch. Customers receive an additional dimmer for free on demand. 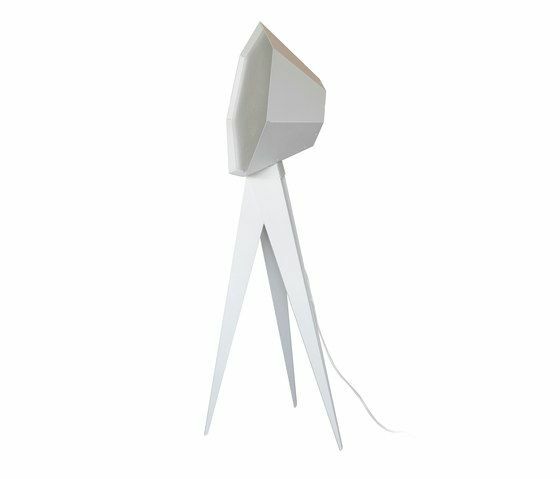 Jean is available in white only and it is made of powdercoated steel plate and acryl glass. Size: base 55 x 42 cm height 136 cm. frauMaier "international dog of contemporary design" is a trendsetter, jetsetter, lifestyleexpert and last not least - a dog.